wander project is the family dinner evolving? Today a wander, not of the pictures but by the pictures. Not a story of the event, but of the concept. The event was a meal with my mother in Annapolis Maryland a couple of years ago. 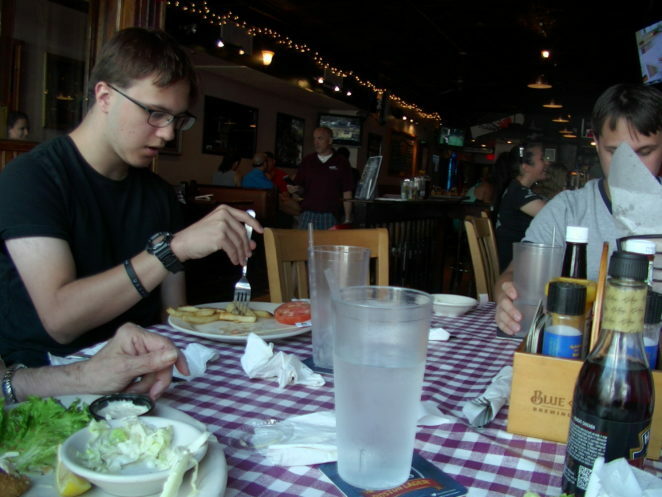 The post today is about the concept of the family meal. When I was little, I spent a lot of time with my grandparents. We would, every day around 530 PM settle down at the table for dinner. Often, Walter Cronkite (CBS News) was on in the background. But in the foreground a conversation about things that had happened that day. The sharing of the day is something that is slowly fading away. The moments, the connection that was the family dinner seems so distant now. We still have family dinners, but not every night. Not the way it was when I was little. It is an evolution, and I do truly understand that. The world is more connected; less disconnection means less need for a specific legislated time of connection. We are connected all day every day now. Then, you would go off into the world and do your thing, returning with your harvest (or kill) from the day to share with the rest of the clan. Now, people are a text away. That is a good thing, in that people are more connected now than before. It is a bad thing in that we don’t do that family dinner as often. But when we do, such as the pictures shown here, when we do they are magical. Perhaps the lesson to be learned here is that something that isn’t expected can be magical. That what once was, the family dinner is no longer a requirement, but now a joy to be enjoyed! I do still miss the sound of “and that’s the way it was.” Walter Cronkite was a huge part of my childhood. So were those family dinners, but I like the ones we have now also! Last pictures of the bay from Sunday. I am cutting down the number of pictures I share each day to ~10 or so each time rather than the 20 plus I was sharing before. It effectively doubles the years required to share the existing family history project, but that isn’t relevant. The important thing is the sharing! Actually, for me, the important thing is what I write about the pictures. I am someone who loves to take pictures, but I do not doubt that I am not a good photographer. (Link in the first paragraph takes you to all the pictures). These pictures today are my last of the Earth Day 2018 collection. Out on the Bay. I read from time to time about the amount of plastic in the Ocean today. I do not throw things off our boat, and we are very careful with the environments we enter. It is something that worries me, however. There was a recent TV show focused on an “island” of plastic floating in the Pacific Ocean. It was a work of fiction, but the concept is pretty scary overall. I am taking my Earth Day 2018 challenge and pushing it to 2019 and beyond. When you go outside, pick up trash! Mother nature or mother Gaea is our partner, not our trash can! We are the stewards of tomorrow. A Sunday on the way to Sea. First, you have to get out of the muddy back creek. Once you do that it is just a few more feet, watched of course by the Osprey’s, to more open water. 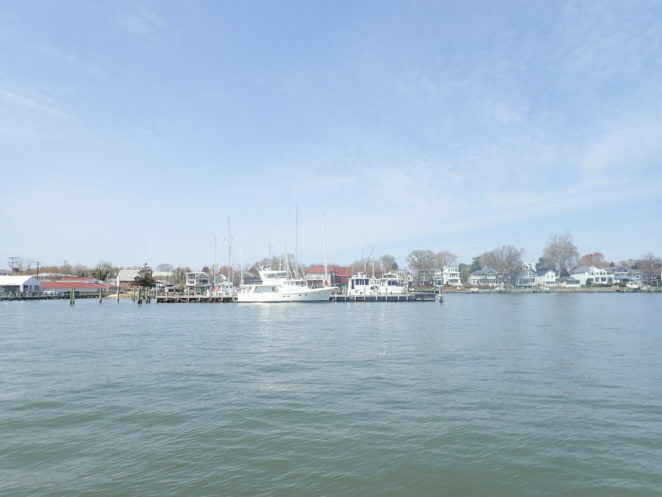 Early in the spring, there are fewer boats on the part of the Bay near Annapolis Maryland. 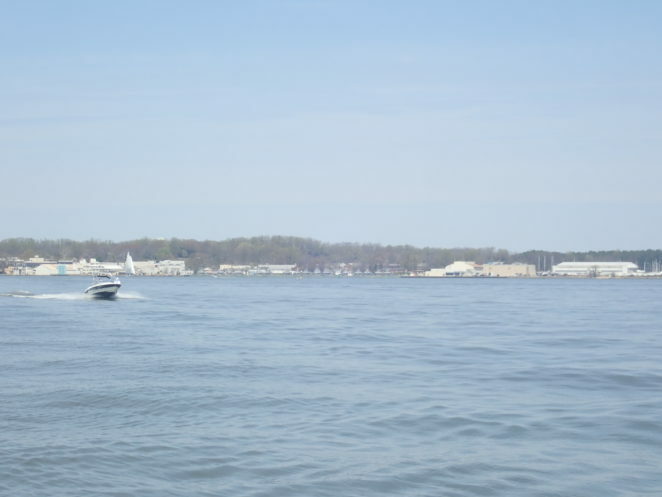 That changes fairly quickly, the flotilla of tiny sailboats existing the US Naval Academy every Sunday, as Mid-shippeople practice the maritime craft of sailing, once a critical part of every Navy’s fleet, now more of an afterthought. I have spoken before many times of the feeling of relaxation I get wandering around in a boat. Any boat, I enjoyed wandering the inner harbor of Baltimore earlier this year. It was a delightful and relaxing experience. I love being on the water. I suspect based on the pictures of me as a child; there may be a reason for that. Other than the traditional parent pictures from back in the day, there is also my Grandfather’s videos. All the videos show me in, near or on the water. Sitting on the sandy beach with my mother, or out on the boat with my father or grandfather. Water, was a huge part of my early years, I suspect a huge part of my formation as a person. I am a water sign by birth, and a water baby by choice! Christopher Cross has a wonderful song from the 80’s called sailing in that song is one of my favorite lines. I feel my best “when I am out on the water,” now the singer wants to be alone, and I prefer having other people there, but the solace is the same! I thought today as a celebration of Earth Day 2018 I would share pictures of the IMA 100 acres. 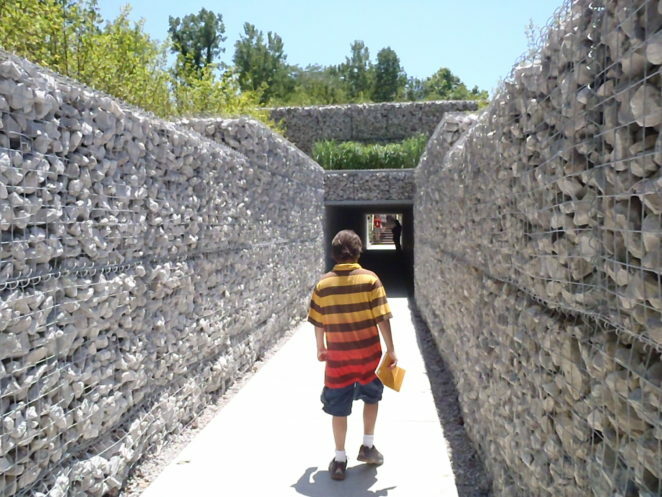 The Indianapolis Indiana Museum of Art has a beautiful outdoor art garden called the 100 acres. Yes, although I don’t know for a fact, it has to be related to Winnie the Pooh and the 100 acres right? I started celebrating Earth Day when I was a school teacher. I got in trouble (as the teacher, not the student) during the reboot of Earth Day. You see, I had my class go around the school and pick up trash. We then put the bags of non-organic trash in the display case of our classroom. Our school sat on 15 acres of ground between an industrial area and a residential area. We found 23 bags of trash (non-organic only). We also found another eight bags filled with organic trash that we threw away. No one liked our display. They felt that we were rude. Today we celebrate the outdoors, the air, the water and wonder that is Mother Earth. Touch the ground today. Look at the sky today. Pick up that trash you see, (well do that every single day, but today pick up extra trash). We live on a planet that is filled with wonder and amazing things. Let’s take care of what is here, so that those who follow, don’t have to wonder what the footsteps crushed. Let’s leave our planet as nice tomorrow as it was 400 years ago! Those March gatherings were for four birthdays. (My nephew, the twins, and my dad). The cake lighting and candles required forced the fire marshal to stop by the house often (joke)! The other thing that you see later in the pictures today is the faces made by my nieces. My daughter started that, making faces as I took pictures and the other two started doing that as well. I have about five or six years of pictures that only face. The joke, however, is now on them as part of the family history project I am sharing those. I suspect more embarrassing for them now than it was annoying for me then. Hah, sometimes you need to be careful of who and when you make a face. You never know when that person will share the picture! I think overall I miss more the fact that the kids aren’t young anymore. Not that I am complaining I enjoy talking to the young adults that used to be kids. It is just; those were simpler times. But like all things they change. You have to as a person forgive those who transgress against you. If you don’t the anger builds, and it has nowhere to go. Release what was and move forward. Remember the happy moments of your life. In the happy moments, remember those that gave to you. Remember those who stood by you. Let go of the anger and welcome everyone that helped you back to you. Happiness comes from understanding which helped you along your journey. March has come and gone. I mean that in more ways than one. March, of note, is the month that my father was born in. It is strangely also the month that all male grandchildren were born in as well. Interesting fact, but less the focus today. 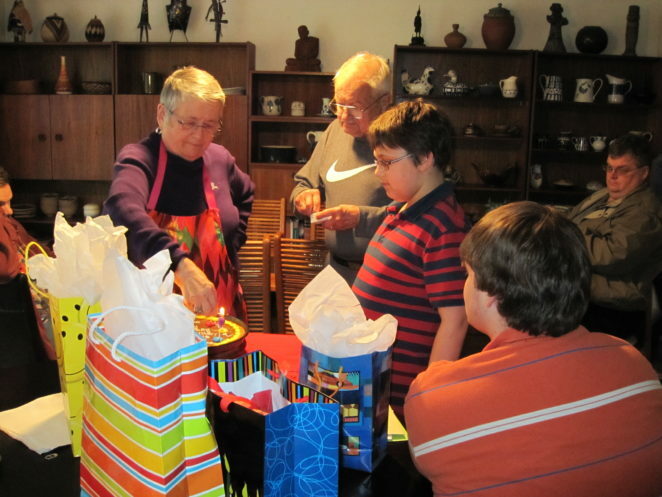 I want, for a maudlin moment to focus instead on who was not here this year as we celebrated the twins birthday. Those not part of where we are now, and those who are gone. As a father, I understand the separation of father’s and sons over time. I separated from my father, and the Twins continue to separate from where I am. I don’t find solace in knowing that, just understanding that it is normal. Funny but of the missing people I miss my father. Some of the rest are close, and they called on the twins birthday. The rest is a million miles away and wouldn’t call even if phones worked and they cared. 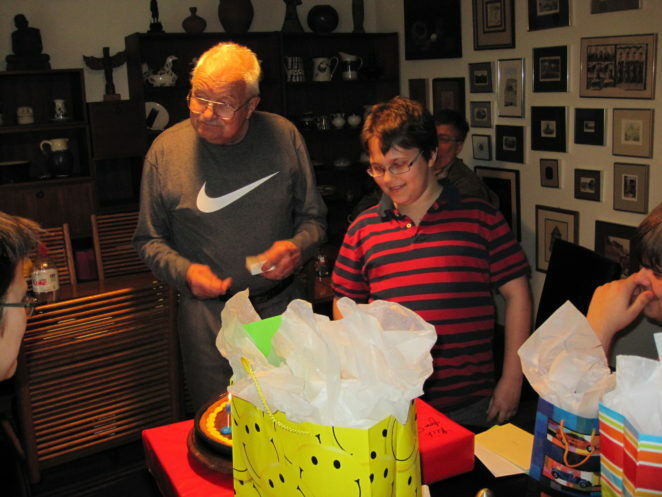 For a long time, I couldn’t share pictures of my dad without getting wistful and sad. Now, I try to focus on all the happy memories. Not focusing on the things unsaid, and the great hurts of the past, that were never great. They were perceived as great hurts, but all hurts are on both sides. Moving past those, to remember my father’s smile. To remember all the things he did for me as a person (that my mother still does). To find the happiness and let go of those past moments. There are so many happy memories, just not remembering the sadness let them flow into my life and reminded of how grand a man my father was. Thanks, Dad! We miss you, but we will always remember you! When I look back at the pictures being shared today (I’ve shared them before), I am drawn to a couple of the pictures. The first is Gwen our dog, stalking me. She took great delight in hunting, stalking and pouncing on me when she was younger. She loved to play. She and I, when we lived in Cincinnati, often took long walks together. Not as regularly as I do now with the Labs, but often then as well. Gwen was a unique creature. I am not sure she understood us, but she loved us. The other pictures in this blast that interest me are for two vastly different reasons. The first is all the pictures of the kids playing. There is innocence in play that we lose as we age. A wonder that we stop feeling or seeing in the world. Somehow we as adults need to recapture that wonder. We need to find the magic of play again. 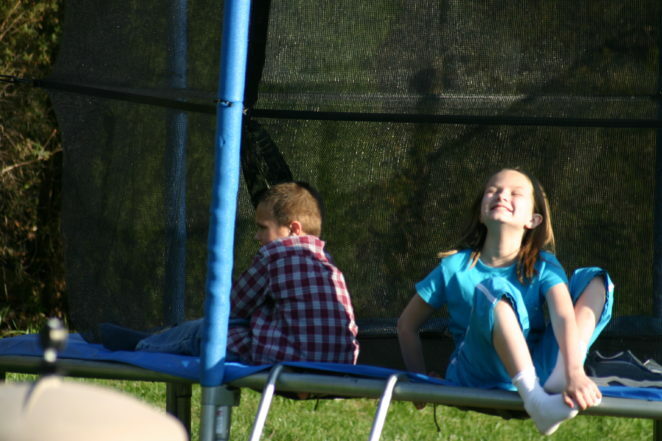 I love seeing the faces lit with smiles, carefree playing in the play area or bouncing on the trampoline. The quiet wonder of childhood. Except, it was never quiet. The last set of images specific to this share is that of flowers and geese. I know, there are a lot of exceptional photographers that love to take pictures of flowers, they share the most amazing images of the delicate plants. I am not a great photographer, but I love taking pictures of flowers. They represent to me, my chasing that path to wonder again. It is my attempt in capturing the image of the flower, to find a path back to the wonder. The other is the geese. Beautiful certainly, but they represent the noise, the bustle and the responsibility of the adult world to me. I had to clean up after the geese. I had to listen to the geese. What I want to do, is bask in the silence of the flowers and flow outward from the beauty. Instead, I find where the Geese have been, and hear them honking ever louder as they approach.